Established in the year 1990, we, Vijay Plywood, are a supplier, trader and wholesaler of Mosaic and Laminates. 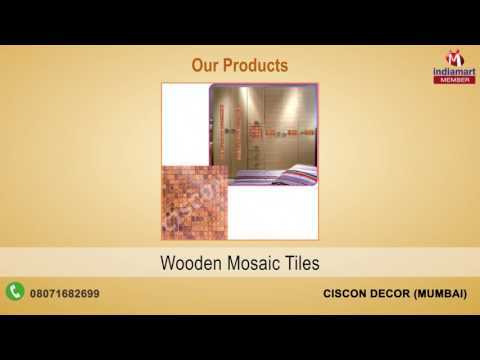 We offer a wide range of products such as ACP Mosaic, Wooden Mosaic and High Gloss Acrylic Laminate. Our vast range of products caters to all the needs of the clients, with more new varieties being added to the list every day. Our products are highly modern acrylic laminates available in multiple thickness and size specifications. Equipped with a functional color core, they are ideally suited to create inlay effects, apart from crisp details of edging. The laminates offered by us offer an unbelievable rich look and are meant to be used for interior purposes only. We have also brought into the market high-quality PVC Acrylic for furniture, which is available in decorative patterns and finishes like natural, matte, glossy, wall paper etc.